IT HAS been a few weeks since I have written about a great work of classical music and I am not going to do so this Sunday. I do however offer a piece of music from the film The Greatest Showman. I promised you ‘bouncy’ a few blogs back, so here goes. 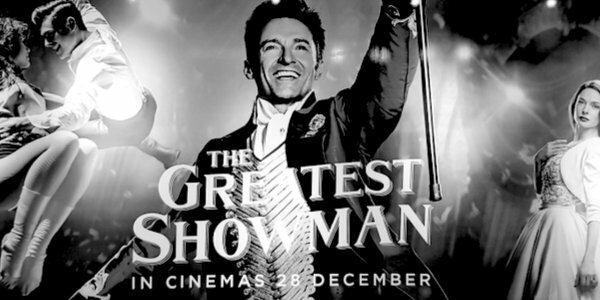 It may come as a surprise to some of our readers but The Greatest Showman is a huge favourite in the Perrins house. The kids love it and I have been recruited also. I love this film because it is surely one of the more conservative and, dare I say it, Christian offerings Hollywood has produced. They probably did not intend that, but when I am not getting depressed about Western decline, I try to look for the conservative and Christian where I can. Inspired by the imagination of P T Barnum, The Greatest Showman is an original musical that celebrates the birth of showbusiness and tells of a visionary who rose from nothing to create a spectacle that became a worldwide sensation. I believe the conservative strands are that it shows a man, Barnum, taking a risk to create something from nothing. He is the driving force behind the entire creative enterprise and he dedicates himself to entertaining others in part to prove himself to his childhood sweetheart and win her love. Later in the film Barnum has a chance to have an affair with a beautiful singer, but he refuses it and returns to his wife and children instead. That’s good enough for me. One of the songs from the musical is This is Me, an ‘anthem’ sung by the other stars of the show – the extraordinary people who are ‘different’. They have faced rejection all their lives but they refuse to bow down, celebrating their humanity as ‘glorious’. And indeed they are glorious because they are created in the image of God. The film comes complete with angry mob – again a good way to explain how you should never get sucked into mobbish mentality. I offer this clip of This is Me not from the film, which is spectacular in itself, but from the audition. I believe the singer Keala Settle was the child of a mixed-race couple who had a difficult time when they were raising her. She drew from this experience, and this comes through in this clip. Take a very close look at Hugh Jackman through this audition. He gave Ms Settle the part there and then. A celebration of life. Enjoy.